Black History Audio Book 2 has been completed and will pop up in the Android app stores very soon. Hats off to Shady00018 for creating this 60 second WWE 2K16 - Floyd Mayweather vs Conor Mcgregor fantasy boxing battle. Will this come true or is it just gaming fantasy? 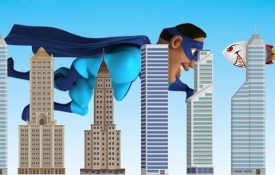 Superheros are in the house. Here is a sneak peak. Black History museums are represented in virtually every state of the USA with just a few exceptions. While the National Museum of African American History and Culture in Washington, DC under the Smithsonian umbrella has received international attention since opening on September 24, 2016, most of these museums throughout the USA face challenges. The role of these museums in community education is extremely important. 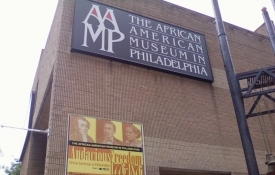 Each African American museum highlights local contributions made by men and women of the region. Unfortunately beyond the direct influence of these institutions little is known by the general public about the important stories generated throughout US history by people of color. Financial contributions are the life blood of most African American museums because most of them are non-profit organizations. As these museums are surveyed across America, you'll find varying degrees of ability to stay up-to-date with their physical buildings, in-house exhibits, and technical online homes (websites). The good news is financial commitments are being made at the local level to help fund the growth of these valuable institutions. We all know that the story of black history in the USA is also part of the story of America. Discover the revealing stories these African American museums have to tell. 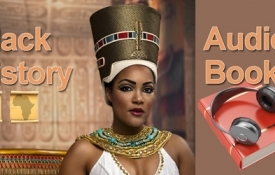 Learn more from the free Android app Black History Museums. Are you hungry? 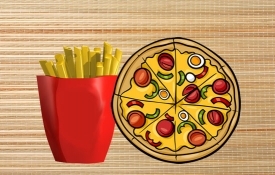 When we released Pizza Burger Crush Game for Android on Google Play in 2015 as a semi-joke, we didn't even add the game to either Quikthinking.com or our sister site MusicRhythmGames.com. There was just a small link at the bottom of Music Rhythm Games. Fast food drove the idea of the Pizza match-3 game. This was a very tongue and cheek production. The fact that this game has gotten several thousand downloads with zero publicity encouraged us to take the concept more seriously and apply it to the more sophisticated Backpack Bounce mini-game app. Backpack Bounce includes a match-3 game using backpack characters and is one of three games in the app. We are told by many that it is the favorite of the three games. Watch the video to see all three mini-games in action. Here's a great mobile friendly website with valuable Black History Quizzes you should check out. No apps needed! 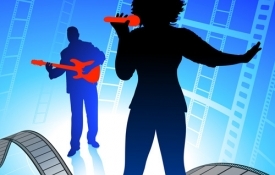 R&B Music Quiz Soul is a fun walk through song history. You probably have heard many of the songs that are referenced throughout this quiz app. Watch the video to see how easy it is to play. Discover more about R&B Music Quiz Soul. Here are 5 music rhythm games for Android that you can download for free: Hip Hop Fingers Music Rhythm Game Music Rhythm Game Rock Music Rhythm Game Rock II Music Rhythm Game Country Each free game contains multiple music tracks to enjoy along with the leader board shown below. 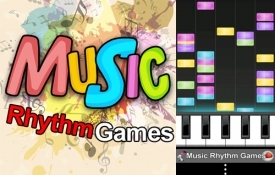 Discover more by visiting our sister website Music Rhythm Games. Thanks for the great feedback in Google Play regarding the Black History Inventors Quiz. 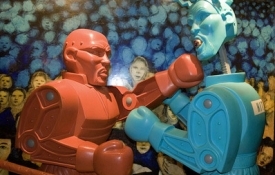 This was a big upgrade from its predecessor Black History Inventors. Both apps are still going strong. What's the difference? BHI is informational with audio, whereas BHIQ is both informational and activity based. Almost all the BHIQ comments in Google Play reference the two games. 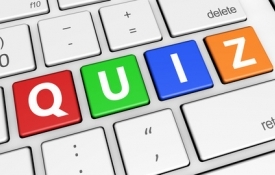 Beyond the games, there are several hundred questions in the quiz section containing a treasure trove of information. 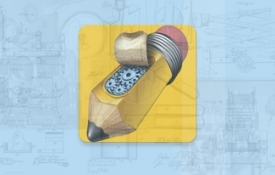 All of the answers can be discovered by reading through the inventor pages. The hidden gem in BHIQ is the Invent section where you can draw sketches of whatever your brain can imagine! Maybe you can improve on another idea you saw in the inventors pages. Try out this section of the app. Black History Inventors on the top. Black History Inventors Quiz (BHIQ) on the bottom.